Bleeding-edge dystopian thrillers, for readers who are tired of politically-correct fiction. In the opening pages, the reader is thrust into a football stadium packed with 80,000 fans on a pleasant September day. As the game is starting, small waves of activity begin erupting from areas all through the stadium. It is soon apparent that people are being shot and no one knows where the bullets are coming from. As the crowd begins to realize what is going on, panic spreads throughout the entire stadium and pandemonium erupts. In a panicked effort to flee their seats, people meet their fate being trampled by the stampeding crowd. Others plummet to their deaths by being pushed by the fleeing crowds from the upper reaches of the stadium. In the end, over 1,000 people have perished. The alleged shooter, a disabled Desert Storm veteran, was located almost 1,300 yards from the stadium, on a perch overlooking the stadium with an old SKS rifle. He was immediately dispatched by the tactical team looking for the source of the incoming fire. That same evening, the President appeared on television to address the nation about the tragedy that has been playing over and over for hours on every broadcast network. With the scoped SKS rifle by his side, the President proclaimed that the nation needed to move to ban military-style rifles to prevent anything like this from happening again in the future. He pleads with Congress to immediately take up the issue. In a knee-jerk reaction move, typical of so many liberals in office, the possession of all semi-automatic "assault weapons" was outlawed, and the public had one week to turn in their now prohibited firearms to the nearest police station for immediate destruction. All semi-automatic rifles are included in the ban, including the common and popular .22LR firearms. It is soon realized that there are a few "low people in high places" orchestrating events to compound on the stadium tragedy in order to take advantage of the momentum of anti-gun sentiment in the misled general public. In the following pages the reader is introduced to a cast of characters who happen to meet by a series of related incidents in the days following the sweeping ban. Previously unaware of each other's existence, events following the gun ban would create a bond they would have the remainder of their lives. As they begin to understand what is happening, it is time for retaliation and the tide slowly turns against those who have perpetrated the horrific events that would scar the nation for years to come. I found this book to be a great read. I usually don't spend much time reading works of fiction but within one chapter, this book not only caught my interest, but also retained it through the remaining 570 pages. This is not a typical good guy vs. bad guy, or "hero against the out-of-control government bad guy" type of read. It is also not a "goober manual" loaded with far-reaching, underlying conspiracy theories. Many of the events discussed in this book are historically accurate and while the storyline is full of twists and turns it remains believable and not too far-fetched. It is obvious that the author has a background involving firearms from the numerous references that are indeed realistic. Firearms mentioned range from the H&K 10mm MP-5s, used by special-ops teams, to the effective and compact Thompson Contender pistol, threaded for a sound suppressor. The characters you meet are interesting and complex, and the storyline has several major events running parallel to each other. The last chapter leaves the reader waiting for the sequel. This writer will be anxiously waiting for its release. If you've read John Ross' book, Unintended Consequences, you will love Enemies Foreign And Domestic. As the blurb on the cover states, "A stadium massacre leads to the banning of all semi-automatic rifles. But who really fired the fatal shots, and why?" This well-written novel takes place in the foreseeable near future. The plot is expertly developed by the author, Matthew Bracken. While this may be Mr. Bracken's first novel, the plot is complex, yet easy to follow. The characters are numerous, but easy to remember. For me, the book was almost impossible to put down! The author's extensive military background assures us that all of the firearms references are flawless. You will not read about pistols with "clips" and revolvers with magazines in Enemies Foreign And Domestic. The most shocking aspect of this book was the chilling believability of the story. The author, Matt Bracken, is a self-described freedom addict who loves ocean sailing above all for the pure freedom it often permits. He is a Constitutional hardliner who believes in the original intent of the Founding Fathers of our country. Matt believes that the clear interpretation of the Second Amendment is a pass-fail litmus test regarding the state of freedom in America., and that we may be on the verge of faling that test. 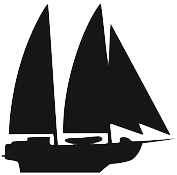 He has worked as a welder, boat builder, sailboat rigger and charter boat captain. This is his first novel and he has many more waiting impatiently to be put on paper. He lives in the San Diego area with his wife and two children. Matt is currently working on the sequel, called "Domestic Enemies." Enemies Foreign And Domestic is as compelling a novel about liberty and the 2nd amendment as you will ever read. It is packed with real life issues right off today's headlines and the political camps on both sides of the issue. It is also just a good, old-fashioned barnstorming novel that you can't put down. In his first at bat, Matthew Bracken has hit one out of the park. Jeff Head, author of the "Dragon's Fury" series of WW3 novels. Recommended Writer: Matthew Bracken. If the sample chapters are any indication, the upcoming "Enemies Foreign And Domestic" will be an incredible book, a combination of the best aspects of Unintended Consequences (which was an important but weakly written book), R.A. Heinlein's Free Men and much original thought. Oleg Volk, "VolksStudio," owner of The High Road internet firearms forum. Entertaining in the extreme. Equally essential. At least for anyone interested in successfully navigating the New Amerikkan Police State and its obstacles. Matt Bracken's latest introduces readers to Dan Kilmer, a former Marine scout sniper with recent experiences in the Islamic wars who, upon separation, sails off to sea for freedom, adventure, and profit, wherever possible. His freebooting life is disrupted when a former girlfriend runs into trouble, and Dan decides to come to her rescue. From there, the reader is taken on a full-throttle blast through the near-future Neo-Depression South Florida, where DHS and local police are full-gear everywhere, the Haves live magnificently, and the Have-Not normal people are reduced to Third World poverty, corruption, and squalor. Particularly noteworthy is how Matt chose to make his protagonist, as he executes his rescue mission, subject to the same kind of human errors and fallibilities that afflict us all. Dan Kilmer, for all his skills and experience, is NOT a Clancy superhero. And Castigo Cay is all the more plausible and enjoyable for that decision. A free sample of Castigo is on his website, but do yourself a favor and order the whole book from Matt, or via Amazon or on Kindle. While you're at it, get the entire Enemies Foreign and Domestic trilogy as well, if you don't already own them. Where else can you get a series of can't-put-it-down tales filled with a wealth of tips on how to deal with kinetic and potentially kinetic situations? Highly, highly recommended. Matthew Bracken, this is a guy, I just love his books. I love fiction, and I very rarely anymore get a chance to read it, and I did reviews on his Enemies trilogy, it was Enemies Foreign And Domestic, Domestic Enemies, and Foreign Enemies And Traitors. In his very last, FEAT, he wrote to me and he said, "David, this is my best effort, it's all I can give. I hope it makes a difference." And that put a lot of pressure on me, because I'd given good reviews to his first two books, and I was thinking, oh my goodness, what if I don't like this one? Because my policy is I will not write a bad book review, I figure it's not my place to step on somebody else's dream, and I hate snotty critics who just can't wait to tear somebody down. There were no worries on that, that was just a brilliant book as his others were. And now he's got a new book out called Castigo Cay, and again I was a little concerned, what if I don't like this one either, and I started reading it and I sent him an email and I said Matt, I have a bone to pick with you: I am busier than a one-armed paper hanger right now and now I can't put your book down. I finished it, and all I can say is wow! Matthew Bracken, welcome to the War On Guns, Notes From the Resistance." David Codrea writes the "Rights Watch" section of GUNS Magazine. He also runs the "War On Guns: Notes From the Resistance" blog. And he writes for the National Examiner. Along with Mike Vanderbaugh, David Codrea broke the Gunwalker story to the national audience. "Bracken nails the target again!" In Castigo Cay, Matt Bracken delivers with a sound foundation for his next series. If you enjoyed his Enemies trilogy, then you'll find your hours of sleep dwindling as you sit in bed breaking the promise to yourself that you'll only finish one more section and then turn out the light. The book is action-packed and that hard to put down. The details within this new novel still reveal that the author is a passionate mariner and most certainly a member of the gun culture, though his writing style is instructional and as a reader, you don't need to be an expert sailor or a competitive marksman to keep up with the terminology. Now onto the story. Without spoiling any of the plot, let me say Bracken has painted another very scary, yet very plausible, not-too-distant future of these United States where privacy, civil liberties, and basic freedoms have been surrendered for the government's undelivered promise of security. The characters are very real and I especially appreciated that, unlike in some novels where the main character is the smartest person in the world, an expert at everything, and executes every mission with 007 flawlessness, Castigo Cay's characters' best-laid plans don't always play out the way they had hoped. This adds an element of realism and page-turning anticipation as the characters improvise, adapt, and (usually) overcome. This is a fun read that's not only entertaining, but informative as well. You might as well pick up at least two copies to qualify for the free shipping, because you'll undoubtedly end up wanting to give a copy to a friend. "You will savor this book like a fine vintage." Dan Kilmer is a former Marine sniper who has been living as a boat bum since leaving the service after tours in Iraq and Afghanistan. His 60 foot schooner is essentially stranded at anchor in the Bahamas with his two-man crew and his voluptuous Venezuelan girlfriend of the last six months. Dan has been making his living through odds and ends and off-the-books salvage jobs both legal and not so legal. He's not a pirate or thief, but he's not above the occasional con job. You see, Dan Kilmer is an "illegal." He doesn't have the paperwork to work legally in the many ports of call that he now calls home. He also cannot return to his home in the US because of the many Patriot Act "improvements" and IRS tax laws that have come into being since the massive terrorist attacks in the not too distant future. America has become something of a police state, and a return to the US for Dan would likely result in his immediate detention for lack of up-to-date ID papers and chips. He doesn't even have a valid driver's license anymore. Cori, Dan's beautiful young girlfriend, is restless and anxious to relocate to Miami, where she pictures herself as a news reader or some other kind of TV personality. Her beauty pageant good looks and confident ambition lead her to meet the owner of a huge 110 foot luxury yacht passing through Dan's Bahamas' port on his way back to the US, who promises her transport to Miami in the style to which she would like to become accustomed. Soon after her leaving, Dan hears some troubling news about the yacht Cori has left on. So troubling that Dan feels it necessary to set off on a trek that will lead to more trouble than he could have imagined. Matt Bracken's fourth book is a top notch action thriller set in a near future worldwide economic depression. The United States has changed greatly, but is still recognizable. The laws have become oppressive, the crime is out of control and shanty towns that are filled with the newly homeless are growing all over the country. Castigo Cay is not part of the "Enemies" series, and doesn't share the dystopian nightmares that make up those classic libertarian books. It stands alone as a more mainstream effort. Bracken's books are very well developed. He doesn't edit them down to the standard 375 pages that most best selling author's struggle to fill with their formulaic plots and superhuman lead characters. Bracken takes the time to develop his characters and the ensuing action sequences develop naturally and believably. I have a rule I tell every author who sends me a book to review: I only write good ones. If I don't care for it, I'll decline to say anything. I figure it's not my place to crush someone else's labor of love. So I ventured into Matthew Bracken's latest offering, "Foreign Enemies and Traitors", with a bit of trepidation. After all, I'd written reviews in this magazine for the two prior volumes in his trilogy, Enemies Foreign and Domestic (Nov. 2005) and Domestic Enemies: The Reconquista (Feb. 2007). I called the former "a thrilling first novel, one that engages, grips and doesn't let up," and the latter "a brave book [that] nails the probability of near-future disintegration of the Republic with terrifying prescience." And then there was Matt's handwritten note to me on the cover page of his latest: "This is my best effort, it's all I can give. I hope it makes a difference." What if I didn't care for it? What if I was let down because it couldn't match the expectations the first two books instilled in me? No worries. This is the best of the bunch, and that's saying a lot. As always, Bracken writes a page-turner involving main characters you care about deeply or hate to their evil cores. This third volume is mainly Phil Carson's story, the Viet Nam veteran we met as a major supporting character in the first two novels. A hurricane has shipwrecked him in Mississippi while smuggling cargo from Central America into a vastly different country than the one he was born into. It's the Greater Depression. Following massive earthquakes, the Deep South is under the military rule of a general who is an authority unto himself. The federal government is hopelessly corrupt, presided over by a charismatic subversive who has placed fellow Marxist travelers in key positions of great power. The Northeast and Midwest reflect his socialist centralized federal control. Tennessee has been in rebellion, and the president, anxious to subdue the insurrection so he can turn his attention to the resource-rich Free States of the Northwest, has brought in foreign mercenaries. But it's not my place to tell you Matt's story. I want you to watch it unfold for yourself. It reads like a movie. Bracken paints scenes with a master's touch, so you can see where his characters are. You can feel their emotions. And when it comes to technical details, explanations of weapons systems, military protocols, intelligence capabilities--nobody does it better. Still, it's not an easy book. The details require us to pay attention. And there's much ugliness: the degradation of some, the racism, the evil (and tell me Bob Bullard, the soulless, ambitious "Director of Rural Pacification," doesn't qualify as a great villain!). If you haven't read the first two novels, don't let that stop you from getting this one. It reads well as a standalone book, and I can't think of a better introduction and inducement to discover the earlier works. You've given enough, Mr. Bracken. Your best is superb. Well done, sir.